April Students of the Month at the Junior High! Congratulations to the outstanding Students of the Month! 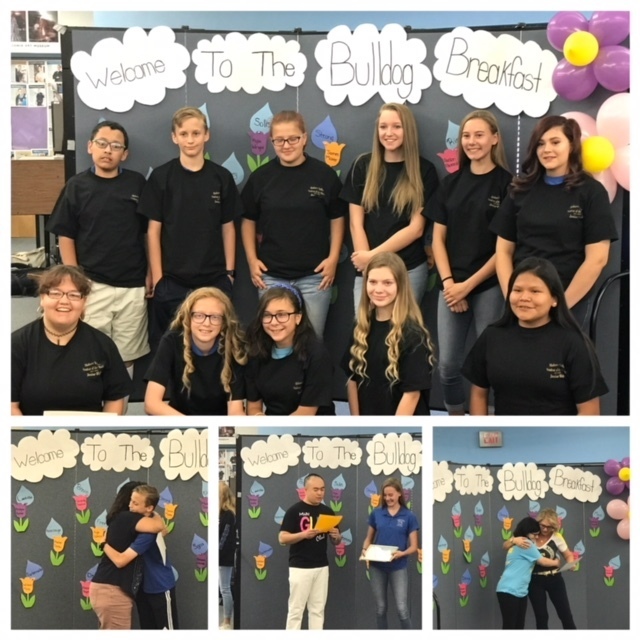 We hope you enjoyed the Bulldog Breakfast. Keep up the great work Rachel, Kylie, Avalon, Serenity, Miranda, Blake, Anthony, Carlos, Roslynn, Michael, Gage, Elizabeth, William, James, Kylie, Annamarie, and Aurora! Our teachers are very proud of you!